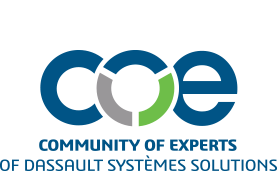 COE speaks directly with Dassault Systèmes development team through its Production Requirements process, led by the COE Product Volunteer Community. The primary objective of the COE Product Community is to assure that the Dassault Systèmes users' needs for enhanced functionality are properly communicated to the Dassault Systèmes developers. You can submit your requirement request by navigating within one of the seven COE Communities (listed from the Communities menu bar listing). You will be prompted to answer a handful of questions about your submission. All submissions are filtered through community leaders to help sort and allow the community to vote on each submission. Twice a year, submissions will be shared with Dassault Systèmes (once during the COE Annual Conference in the spring and once virtually). To make a production requirements request, you must be a COE member. To learn more about becoming a COE member, click here. If you have any questions, please send an email to coe@coe.org.